High purity Al, Au, Au/Pd, Pd, Pt, Pt/Ir, Ag and Nichrome thin wires for EM and thin film applications. Use Tungsten Filaments for evaporation in high vacuum evaporation systems made by Cressington, Denton, Edwards, Jeol, Ladd or others. W thin wire is offered for additional deposition/evaporation/filament applications. High Purity Evaporation Materials in form of pieces, granules or pellets. Packed in glass vials in quantities varying from 5-25 grams. Used for thin film research, thermal evaporation and electron microscopy coatings. 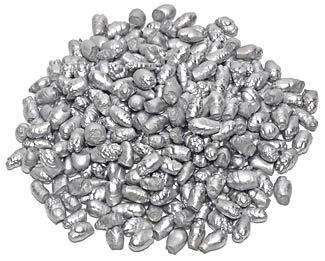 Use Tungsten Boats or Alumina Coated Baskets for evaporation. Use our Scales for precise weighing. For Cr we offer Chromium Plated Tungsten Rod as an alternative. 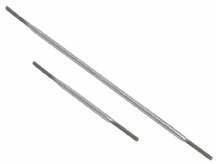 Chromium Plated Tungsten Rods are an alternative for Cr evaporation when only a low power evaporation power supply is available. 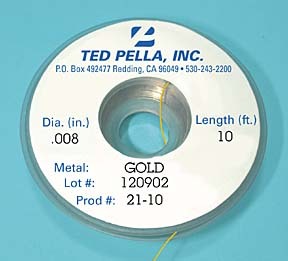 0.05" (1.27mm) W rod, plated with a 0.01" (0.25mm) high purity Cr layer. Available in 2" (51mm) and 4" (102mm) length. 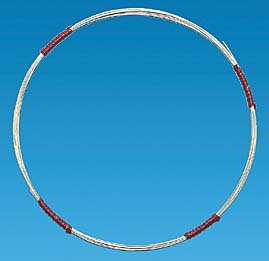 Please call or email for pricing on precious evaporation materials/wires. Actual prices may vary due to sudden price changes for precious metals.